André Wilsenach, the Executive Director, has a long history in gambling regulation prior to joining the Alderney Gambling Control Commission (henceforth AGCC) in 2002. He served on both the national and provincial gambling boards in South Africa. Subsequently, he became the first CEO of a South African company which was established to render electronic monitoring services to the National Gambling Board of South Africa. Mr Wilsenach is a member of the Steering Committee of the International Association of Gaming Regulators and a member of the International Masters of Gaming Law. In both 2005 and 2007 he was named as Regulator of the Year by the World Online Gaming Law Report. Alderney is often described as the 'Rolls Royce' of jurisdictions for internet gambling sites. Why is this jurisdiction such as popular destination for licensed operators? Alderney is a very popular destination for a number of different reasons. The island is one of the largest hubs for B2B services in the world and currently transmits high volumes of internet eGambling traffic with the technical capability to expand even further. Alderney is part of a group of islands called the Bailiwick of Guernsey and is just a short flight from London. Guernsey is the largest island in the Bailiwick and has an impressive technical infrastructure which has supported our thriving financial sector for many years. Our resilient and secure telecoms links and our data centres in Guernsey give Alderney a real advantage over our competitors. AGCC regulated businesses can operate from Guernsey or Alderney so can use this technical infrastructure and are only subject to the common tax regime of zero corporation tax, low property taxes, no VAT, no capital gains tax etc. We are an attractive place to live and work, we have a hugely professional workforce and we are very proud of the unrivalled reputation the AGCC has in the international eGambling community. Our strategy has always been a process of evolution in response to the developing business and regulatory landscape. The main objective of the AGCC has always been to provide a regulatory environment that meets world-class standards and thereby both protects the reputation of Alderney and attracts world-class operators. This is not what is typically offered elsewhere. There are currently about 2000 internet gambling sites which are owned by approximately 350 businesses operating from jurisdictions other than Alderney, of which only a handful are regulated in any meaningful way. The AGCC has therefore positioned itself to offer a regulatory environment that is likely to attract the relatively small number of operators who seek a comprehensive and tightly controlled regime. These are, for the most part, the major gambling operators who have brands that they wish to protect. In the longer term, it is these substantial and high quality companies that are likely to dominate the world-wide internet gambling business. They are also the companies likely to conduct their businesses in a way that is consistent with the standing of Alderney and Guernsey as financial centres. Before the Alderney Gambling Control Commission (AGCC) issues a licence to an operator which criteria must it adhere to and how much does a licence cost? The objectives of AGCC are to ensure that the “funding, management and operation of electronic gambling remains free from criminal influence and that all electronic gambling is conducted honestly and fairly and in compliance with good governance”. The application process reflects these objectives. Phase I of the process tests the suitability of the applicant in meeting the AGCC’s requirements in terms of character, business reputation, financial position, ownership and corporate structure, character and reputation of business associates, and sources of funding. If found suitable a Licence is issued but the licensee may not yet commence operations until Phase II is completed to test business processes, equipment and product. This requires approval of Internal Control Systems (ICS) and gambling equipment and premises. The ICS document is a unique requirement of AGCC and is a detailed “procedures manual” for each licensee. It constitutes a map showing risks and actions taken to mitigate them. Its content is set out in legislation and forms the basis for onsite inspections. Only on successful completion of Phase II can a licensee commence operations and exercise its licence. Fees for a Category 1 (B2C) licence are banded according to the Net Gaming Yield (NGY) generated with the entry Band A at £35,000 pa and a cap of £400,000 pa at Band F for NGY of £30m or above. Fees for a Category 2 (B2B) licence are £35,000 pa plus £3,000 for each Business Associate who does not hold a Category 1 licence and who is not a member of the same group. In order to avoid any element of “double taxation” following the UK introduction of POC regulation and taxation, the NGY from any UK facing activities is excluded from the calculation of the fee. Also to minimise any element of “double regulation” AGCC has also streamlined its regulation of UK facing activities, which are now regulated by the Gambling Commission of Great Britain. These fees are very competitive with other jurisdictions and AGCC recently reduced the cost of both Category 1 and 2 licences for start-up and new operators moving to the jurisdiction from £35,000 to £17,500 for the first 12 months. This move adds to improvements introduced last year. Games developers can upgrade to a Category 2 licence, which allows for the operation of a B2B platform, without the loss of any residual value of their developers certificate (known as a CSAC). This means that developers wishing to become platform providers, with all the benefits that brings in terms of swifter and cheaper integration costs, can now do so at a substantially lower cost. This, in conjunction with the recently approved Cloud technology, provides developers and start-ups with a highly attractive environment from where to base their business. A couple of years ago (2011) the AGCC suspended Full Tilt Poker's licence (Black Friday). What were the contributing factors that led to the suspension of FTP? After FTP's license was revoked did it have an impact on the island's economy? In the period leading up to Black Friday the Department of Justice (DoJ) seized funds in various accounts relating to poker played on FTP’s website, the cumulative total of seized funds being around US $160 million. On 20 April 2011, the AGCC launched a special investigation into FTP to determine the appropriate regulatory action having regard to the accusations in the unsealed indictment. After a series of initial meetings, investigative accountants were retained to assist the enquiries. The investigation revealed among other things that FTP was in very serious financial straits. This was due partly to the seizure of funds by the DoJ, partly to delays in clearing funds through the Automated Clearing House system (an electronic network for financial transactions in the US), and partly to theft of funds by certain payment processors. In a memorandum dated 29 June 2011 the AGCC executive recommended to the Commissioners that a hearing notice should be issued to the FTP licensees and their licences suspended. The recommendation was accepted, and hearing and suspension notices were issued on the same day. After revocation of the Full Tilt licences, an independent review, commissioned in December 2011, was conducted by Peter Dean CBE – former Chairman of the British Gambling Commission. 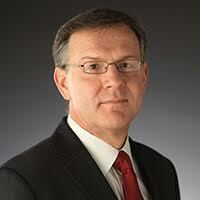 “The AGCC would like to thank Peter Dean for his detailed and thorough report. We believed it was important, given the sensitivities surrounding the revocation of Full Tilt Poker’s licences that an independent review should be carried out into the way in which the AGCC conducted itself throughout this process, and we are grateful that this has now been completed. “We wanted to reassure ourselves, and those who take an interest in our activities, that should mistakes have been made then we would recognise them, and if lessons could be learned that we would learn them. The economic benefits derived from the eGambling industry to Alderney, and also to the Bailiwick of Guernsey, have been studied by independent experts over a number of years and there appears to have been no noticeable change in the number of AGCC licence and certificate holders in the years following the revocation of the Full Tilt licences. I'd just like to circle back to question 3. The tax generated from e-gambling licensed operators, does it have a positive impact on the economy of Alderney as a whole? If yes, please elaborate. Unlike other jurisdictions Alderney does not apply any betting “taxes”, only AGCC fees and these do contribute significantly to Alderney’s economy to the extent of some £5m per annum. The total economic benefit from AGCC regulated activities to Alderney and Guernsey arising from fees, use of the extensive telecoms and hosting infrastructure, employment etc. is estimated to be of the order of £50m pa.
Pertaining to the regulation of the online gambling industry in general? Do you think it is properly regulated and if it was up to you which mechanism/s would you propose to properly regulate it? That is a very leading question and it is not for me to criticise the regulatory regimes in other jurisdictions. The main elements of the AGCC regime are a rigorous application vetting process, a requirement for approval of a written detailed procedures manual (the ICS), including notification of any changes to those procedures and which forms the basis for onsite inspection, games testing and testing of any changes to those games and the recruitment of sufficient experienced and knowledgeable staff able to carry out vetting and inspection processes effectively. AGCC currently employ over 20 staff in total to cover the activities of some 65 operators. We believe that our regime achieves the objectives of AGCC to ensure that the “funding, management and operation of electronic gambling remains free from criminal influence and that all electronic gambling is conducted honestly and fairly and in compliance with good governance”. This gives confidence to players that they will not be cheated and confirms a high status to operators regulated by AGCC. It is a matter of “buyer beware” when dealing with operators who are subject to regulation that falls short of that enforced by AGCC. Player complaints are part and parcel of the industry. In the event a player becomes embroiled in a payment dispute with an AGCC-licensed operator what course of action must he/she follow? If the player has a legitimate complaint and the operator still refuses to pay the player, how will the AGCC resolve this issue? Customers are advised to contact the operator in the first instance to try to resolve any disputes. If unsuccessful, the AGCC invites customers to submit a complaint to the AGCC in writing. The Alderney eGambling Regulations, 2009 detail the process that shall be followed. Please see Appendix 1, for the detailed regulation information. Regrettably problem gambling is one of the negative aspects of online gambling. Tell us more about the AGCC's responsible gambling program? Would you say problem gambling is on the rise or decline? The AGCC takes extremely seriously the issue of problem or compulsive gambling, and is of the view that it is improper to accept or continue business with a problem or compulsive gambler. We enforce strict requirements for all operators to maintain a comprehensive responsible gambling program. For more details on The Alderney eGambling Regulations, 2009 see Appendix 2. These requirements are verified by the AGCC’s expert staff both during on-going remote compliance monitoring, and during annual on-site inspection visits. Independent research on the prevalence of problem gambling in the eGambling area indicates that in most countries problem gambling levels have remained more or less unchanged over the past few years. If someone were visiting you in Alderney where would you take them and what do you like about the island? While eGambling is regulated by the AGCC, eGambling activities can take place on either Alderney or in Guernsey. The lifestyle on both islands is similar to the UK, but with a more continental flavour and milder climate, a safe environment for children, first class education and health systems, and frequent air and sea links to the UK and Europe – with Southampton or London and the international airports just a 45-minute commute away. When anyone visits me they are immediately struck by the relaxed, friendly atmosphere, the wonderful coastline and unspoilt beaches as well as the choice and value for money of the plethora of hotels, restaurants and cultural activities. AGCC licensed operators primarily targets the UK punter. Don't you think the market is oversaturated and that the UK has become a nation of gamblers? I'd appreciate your viewpoint. The UK remains the biggest European market and whilst it is true that some 80% of our B2C activities address that market our B2B customers are spread around the world. Although it could be argued that the UK is a saturated market it is also a changing market with room for growing different product verticals. Younger players are looking for different and new products, specifically products that offer opportunities for skill games; community games, virtual status, etc. Having said this, many of our licensees are moving into new markets such as Asia Pacific, Eastern Europe and South America. When it comes to money laundering, does the AGCC have a definitive framework that prevents its licensed operators from engaging in this activity? With one eye on the future. Where do you see the industry in another 5 years time and do you think that operators will still keep on flocking to Alderney's shores? Money laundering and terrorism financing are serious international issues and it is important that such criminal activities are identified and prevented by all available means. Unfortunately, it has been identified that the gaming industry – including online gaming – may be a vehicle for those who wish to commit crime, conceal the profits of their crime or fund terrorist activity. The online gaming industry therefore has a duty to work to detect and prevent money laundering and the financing of terrorism wherever possible. The AGCC’s Regulations take their lead from the Financial Action Task Force (FATF) Recommendations that set out global standards and identify those business areas where the risks of money laundering and terrorist financing would appear to be greatest. Licensees should note that all aspects of their operations relating to AML/CFT controls will be inspected in off-site supervisory activities as well during the course of every on-site inspection undertaken by the AGCC. The fight against money laundering and the financing of terrorism affects all involved in the eGambling industry. Licensees must comply with the various laws, ordinances and regulations that have been adopted in the fight against money laundering and the financing of terrorism. Customers will need to appreciate that it may mean a lengthier and potentially more detailed registration process before they can begin to use the services of the eGambling licensee, coupled with occasions when they may have to provide further information about themselves. Some aspects of this should already be familiar to customers from their experience of dealing with the wider banking and financial services sector. 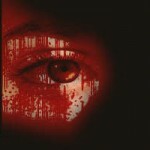 The entire process requires that there be vigilance on the part of all concerned. The nature of the eGambling sector is such that small weaknesses, if exploited, could pose great risks by virtue of the sums of money involved, the speed of transactions, and the levels of turnover, a vulnerability identified by the Committee of Experts on the Evaluation of Anti-Money Laundering Measures and the Financing of Terrorism (Moneyval). However, one of the possible weaknesses of the sector, the fact that the transactions are not face to face also results in one of its strengths, namely the nature of the audit trail that is maintained of eGambling transactions. The eGambling industry keeps growing, and with continuing technological advancements it appears unlikely that this trend will stop. In five years’ time the industry will have matured further, and a more global eGambling marketplace may well have developed. 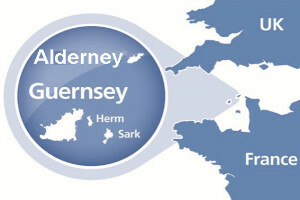 Alderney is well positioned to continue its role as one of the world’s leading eGambling jurisdictions, working closely with international bodies such as the International Association of Gaming Regulators and the Gaming Regulators European Forum (the Board of which now includes the AGCC’s Chairman) to enable industry growth in an environment where player protection, game fairness and the prevention of criminal influence remain at the forefront of the operators’ processes and internal controls. 238. (1) A Category 1 eGambling licensee shall include on an appropriate page within the part of its website explaining the availability of a mechanism for resolving a customer’s complaint a hyperlink to the page on the Commission’s website dealing with its handling of complaints. (2) Where a registered customer makes a complaint to the Commission about a Category 1 eGambling licensee’s operations, the complaint shall be dealt with by the Commission in accordance with this regulation. (3) In the first instance, a duly authorised officer of the Commission shall, by establishing contact with the Category 1 eGambling licensee or, as the case may be, an associate of the licensee and the complainant, attempt to resolve by agreement between the customer and the Category 1 eGambling licensee or associate any dispute between them on which the complaint is based. (b) give written notice of that determination and the reasons for it to the customer and the Category 1 eGambling licensee, at the same time enquiring of them whether each accepts his determination. (5) Where both the customer and the Category 1 eGambling licensee accept the preliminary determination of the Executive Director, his determination shall be treated as final. (6) Where one or both of the recipients of the Executive Director’s preliminary determination do not accept it, the complaint shall be referred to the Commissioners for hearing in accordance with regulation 239. (c) the Category 1 eGambling licensee may elect to confine itself to making any written representations it wishes or may attend the hearing through any representative. (d) questions may be asked at any time by the Commissioners. (3) Unless the Commissioners otherwise direct, a hearing under this regulation shall be held in public in Alderney. Commissioners’ determination of customer complaint. (c) whether to make any order about payment of the costs incurred by the Commission or, as the case may be, the customer making the complaint or the Category 1 eGambling licensee in accordance with paragraph (2) or (3). (b) if sought by the Category 1 eGambling licensee, a contribution to its costs incurred in appearing before the Commissioners. (a) as part of the resolution of the dispute between the customer and the Category 1 eGambling licensee, that the Category 1 eGambling licensee compensates the customer for all or some of the costs he has incurred in making and pursuing his complaint; and (b) that the Category 1 eGambling licensee make a contribution towards the expenses incurred by the Commission in determining the complaint. (4) The Commission shall give the customer making the complaint and the Category 1 eGambling licensee written notice of its decision under this regulation and of the reasons for it. All decisions made by the Commission can be appealed to the Court of Alderney. Should the Commission rule in favour of the complainant, and the operator refuses to comply with that ruling, the Regulations provide for an escalating series of sanctions that can be applied, all the way up to revocation of the eGambling licence. 236. (1) A Category 1 eGambling licensee shall establish and maintain procedures in accordance with its approved internal control system to identify customers who are, or appear to be at risk of becoming, problem gamblers. (2) A Category 1 eGambling licensee shall take note of and act appropriately upon advances in information about problem gambling, technology to discover problem gambling, and techniques for combating problem gambling; and shall comply with every requirement of the Commission designed to combat problem gambling. (b) if required by the Commission, take steps to limit or cease gambling activities with a specified customer. Pursuant to R.236, an eGambling licensee shall establish and maintain procedures under which it can identify and take protection measures for customers who are, or appear to be at risk of becoming, problem or compulsive gamblers. Describe the licensee’s problem gambling awareness and action programme. i) your methods for proactively identifying customers with potential gambling problems such as chat monitoring, system triggers, automated report reviews, etc. The Commission takes seriously the issue of problem or compulsive gambling, and is of the view that it is improper to accept or continue business with a problem or compulsive gambler. Where a licensee has reasonable notice that a customer is or may be a problem or compulsive gambler, the licensee should take reasonable action, up to and including termination of the customer’s account and restriction of continued marketing activities, depending upon the circumstances.